The Sandvich is the Heavy’s first unlockable. It tastes as good as it looks and heals 120 health. Like in real life, the decision to eat a Sandvich must not be taken lightly; The Heavy is completely vulnerable during the four second eating process, and his loud, happy sounds of vigorous chewing will draw enemies like tiny ant cowards to a picnic. OF DEATH. 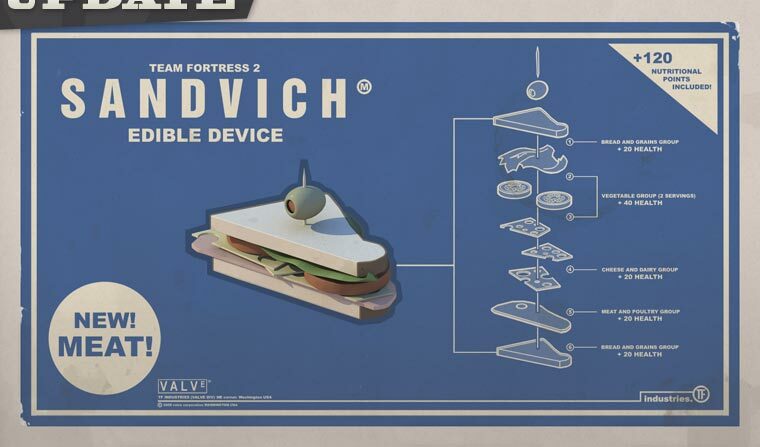 On the bright side, the Heavy’s Sandvich supply is unlimited, so his only real concern is being caught short while enjoying this delicious edible device. 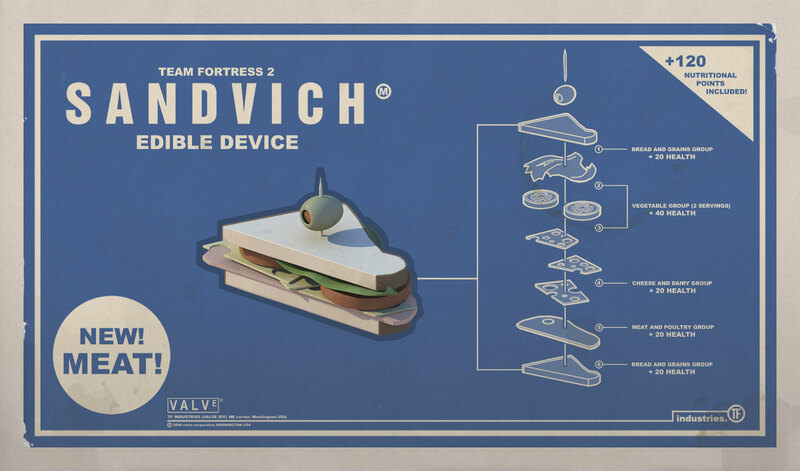 The Sandvich is a great tool for a Heavy defending an area, as it gives him the ability to replenish health between enemy waves without having to abandon his post. Similarly, an offensive Heavy without a Medic can step back from the front line and grab a quick snack before resuming his rampage. Beware, however: the Heavy must set aside his shotgun to take the Sandvich, and enemy Snipers are much more dangerous for a Heavy wielding only a minigun.